Hailing from Baltimore, The Dirty Grass Players have established themselves with one toe-tappin’ foot in traditional bluegrass and blazing musicianship that pushes boundaries. Their ability to seamlessly transition from downhome bluegrass to spirited improvisation makes each performance unique. 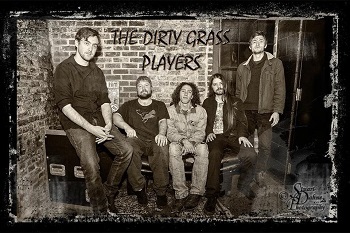 Throw in some Allman Brothers, Pink Floyd or a dash of southern rock and you’ll quickly understand what they mean by Dirty Grass. Their self-titled debut CD captures this energy and as 2017 winner of Charm City Bluegrass & Folk Festival Band Competition clearly indicates, this is just the beginning of their musical journey. For anyone who enjoys a musical throwdown by skilled musicians, it’s time to get your grass dirty!